An action is considered battery when a person physically touches, strikes, or causes bodily harm to another person against that person’s will. Battery law leaves no room for grey areas, and you could be charged with battery whether your physical actions against another person were intentional or not; in some cases, a person could be charged with battery for simply pushing someone and leaving no mark or injury. A battery offense is usually a first degree misdemeanor punishable by up to 1 year in a county jail, and could require you pay a maximum of $1,000 in fines. However, if an individual has one or more previous battery convictions (battery, aggravated battery, felony battery, etc. ), the crime may be charged as a third degree felony punishable by up to 5 years in a state prison. Dealing with a battery charge can be complicated and tricky, and you will want a professional criminal defense attorney to handle your case. The defense attorneys at the law firm of DeCarlis & Sawyer have ample experience with battery cases, and will provide expert legal services to ensure that you receive the best end result. Felony battery is considered if the defendant causes great bodily harm, permanent disfigurement, or permanent disability. A felony battery is, in most cases, a third degree felony punishable by up to 5 years in a state prison. You could also be charged up to $5,000 in fines. 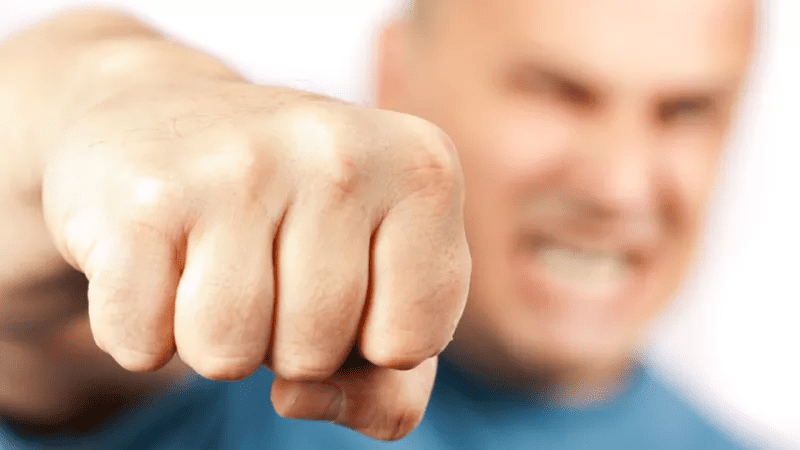 Aggravated battery occurs when the defendant knowingly or intentionally causes great bodily harm, permanent disfigurement, or permanent disability. Aggravated battery encompasses use of a deadly weapon in an offense as well. A defendant will also be charged with aggravated battery if they knew or should have known that the victim was pregnant at the time the crime occurred. This offense is usually considered a second degree felony punishable by up to 15 years in a state prison with a maximum of $10,000 in fines. The difference between simple battery and battery on a law enforcement officer is the profession of the victim. Because the offense was toward a law enforcement officer, your penalties could be greatly increased. Because of the professional status of the victim, battery crimes are automatically reclassified as higher level offenses. A simple battery crime would be raised from a first degree misdemeanor to a third degree felony. An aggravated battery crime would be raised from a second degree felony to a first degree felony; anyone convicted of aggravated battery against a law enforcement officer will be facing a mandatory sentence of imprisonment for a minimum of 5 years. If the defendant possessed a firearm during the offense, they could serve a minimum of 3 years imprisonment. If the defendant had a semiautomatic firearm or machine gun as well as magazines, they could face a minimum of 8 years imprisonment. Having a skilled defense attorney prepare your case could result in reduced penalties. If you or someone you know has been arrested for a battery crime, contact us today for a free initial consultation where our legal professionals will discuss your next steps. You pay nothing unless one of our defense attorneys wins your case.